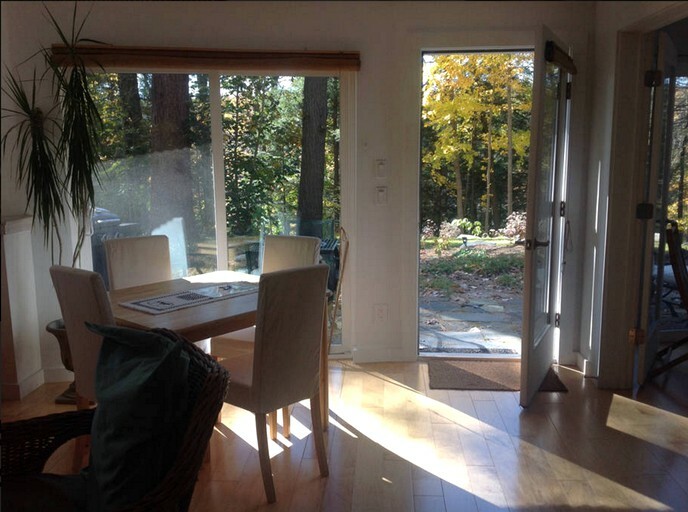 This unique cabin, located in Great Barrington, Massachusetts, can accommodate up to four guests. 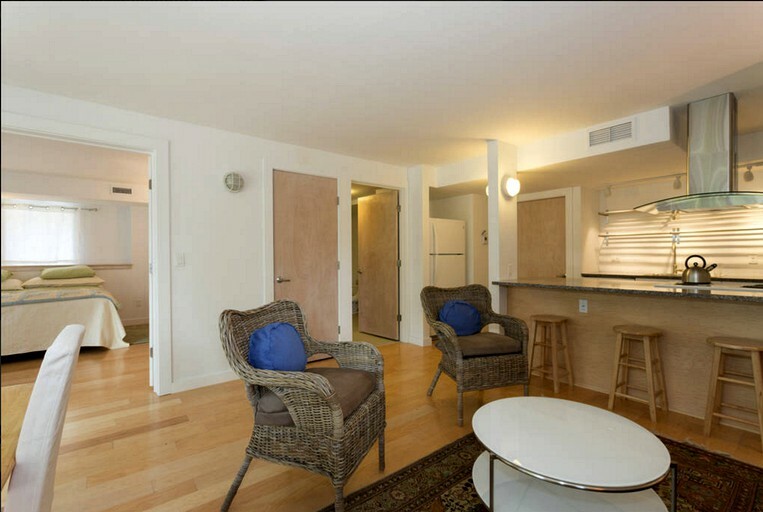 Each room comes more spacious than the next, decorated with elegant accents, artwork, and furniture. 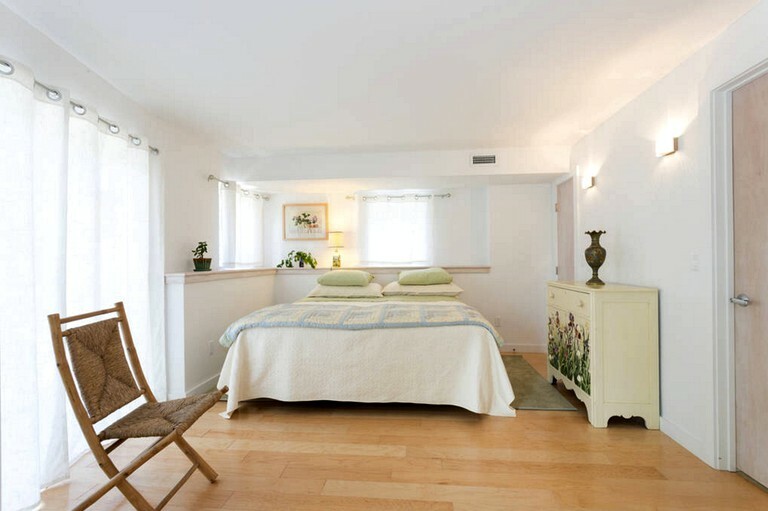 In the bedroom, guests will find one king-size bed that when requested, can be turned into two twin beds. The upstairs bedroom is a queen-size bed. 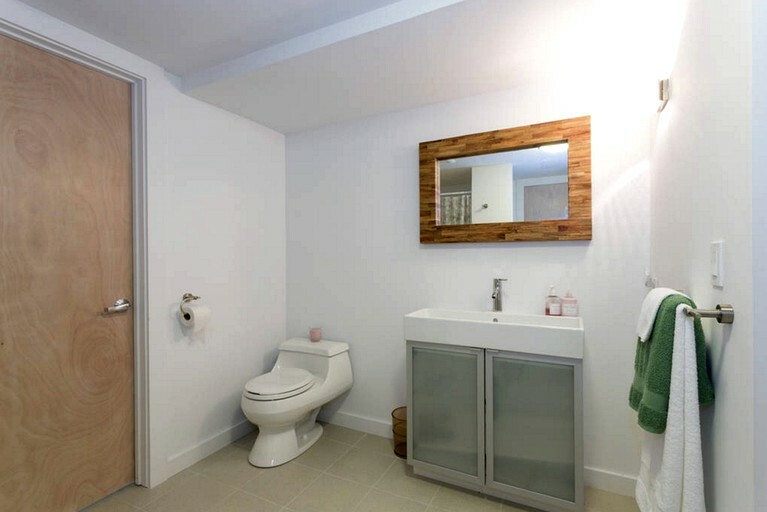 Next door is the large bathroom with a walk-in closet for ample storage space. 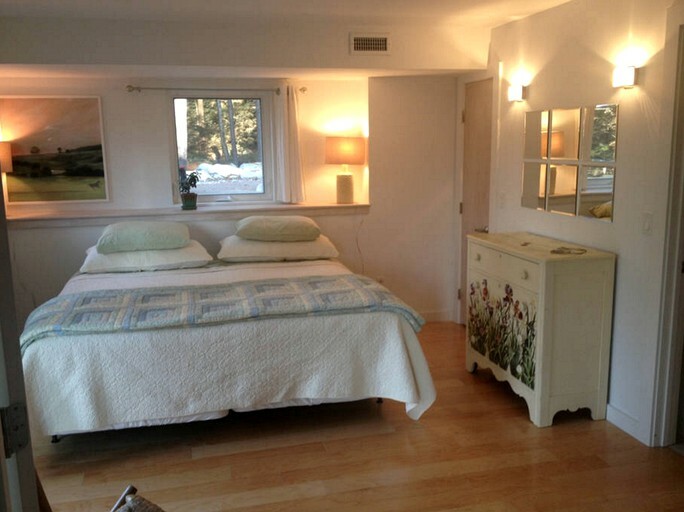 There are also two very comfortable sofa beds in each main room - upstairs and downstairs - for four more guests. 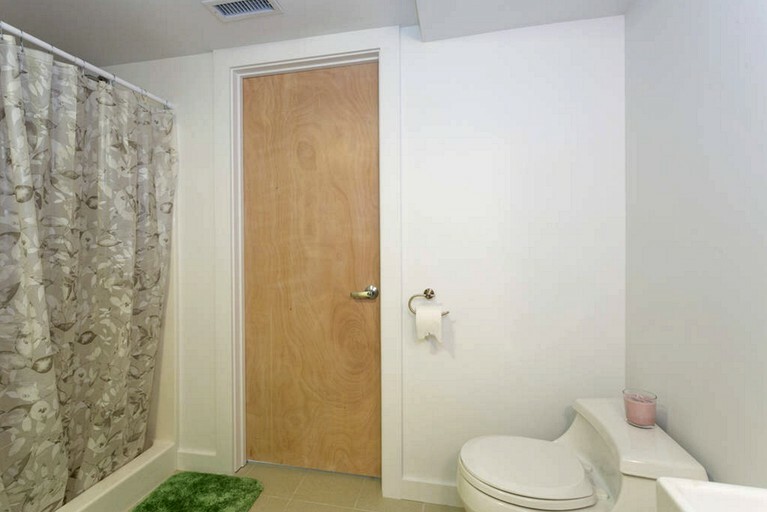 All linens and towels are provided by hosts. 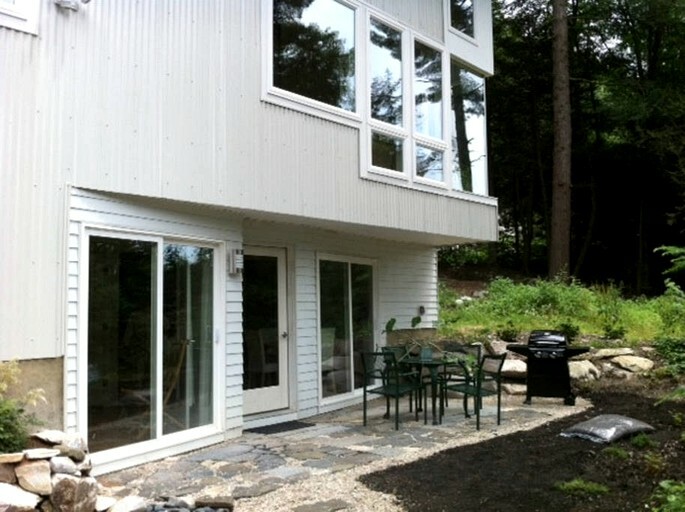 This brand-new construction is an architect-designed retreat in the Berkshires at the foot of Monument Mountain with a fantastic setting among majestic trees and large boulders. 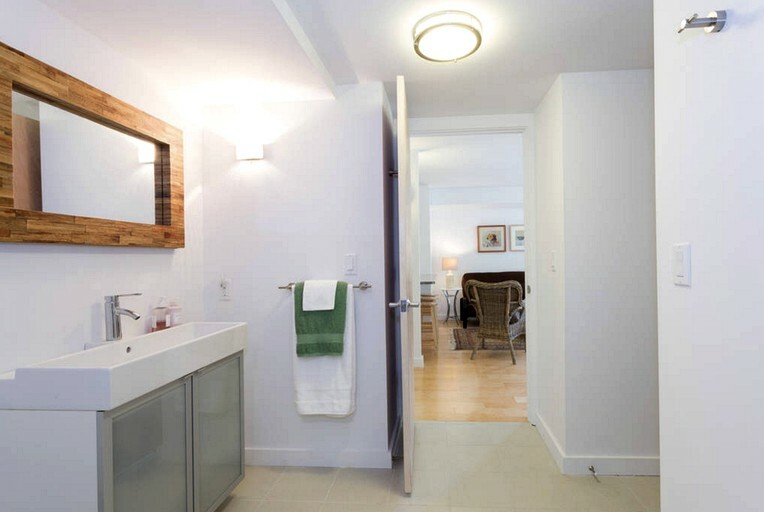 Guests will enjoy a state of the art design in Great Barrington's most unique new getaway. 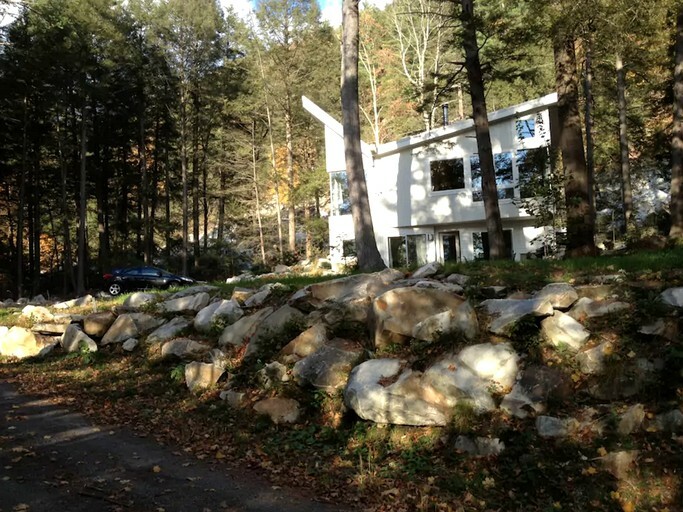 This is the totally private downstairs part of the main property located in a beautiful, quiet area of Housatonic, a village of Great Barrington along Rising Pond. 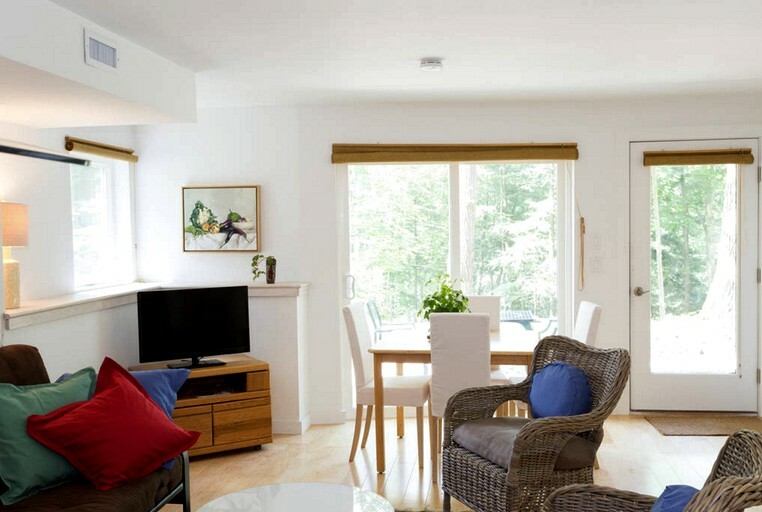 The living room is illuminated with natural light shining through the large glass doors. 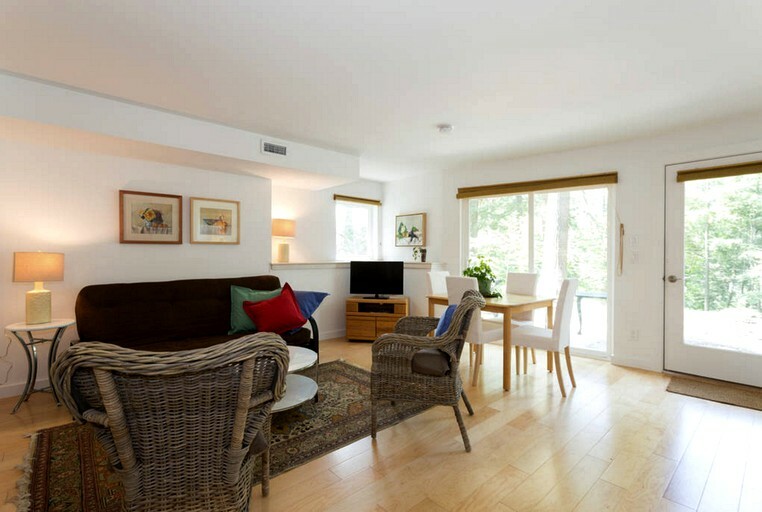 Here, guests will find a television, comfortable seats and couches, and a beautiful view of the river. 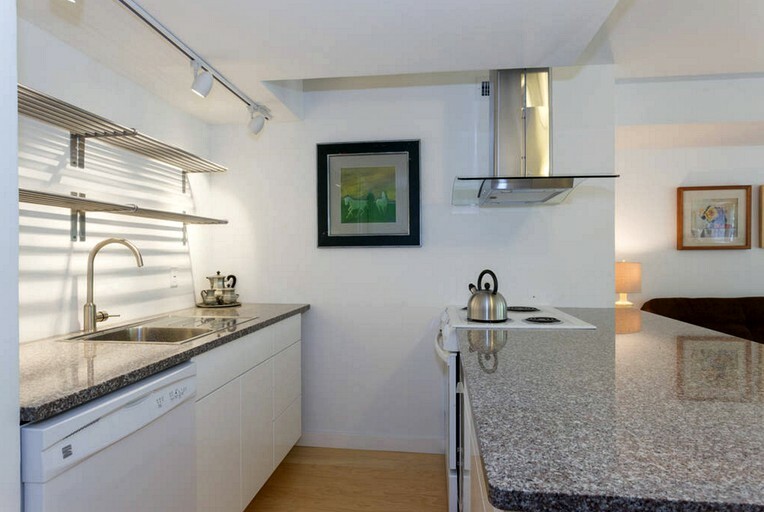 Granite counter tops, wooden stools, and all new full-size appliances line the kitchen. 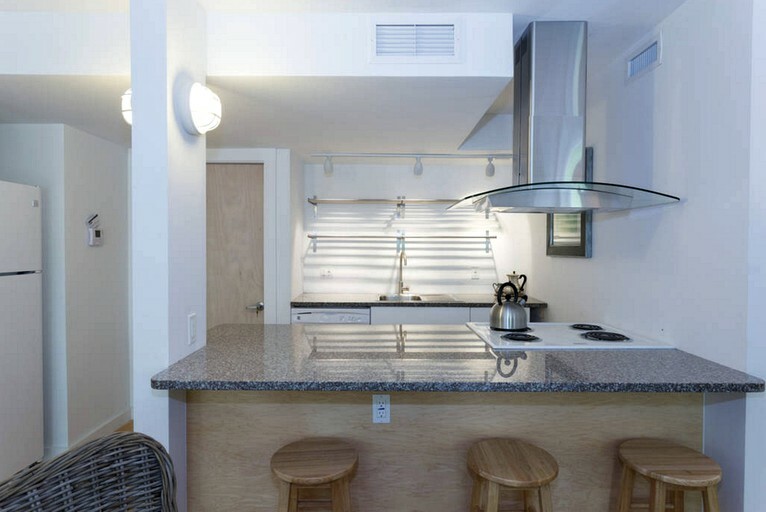 There is also access to cooking items and utensils for all guests may need. 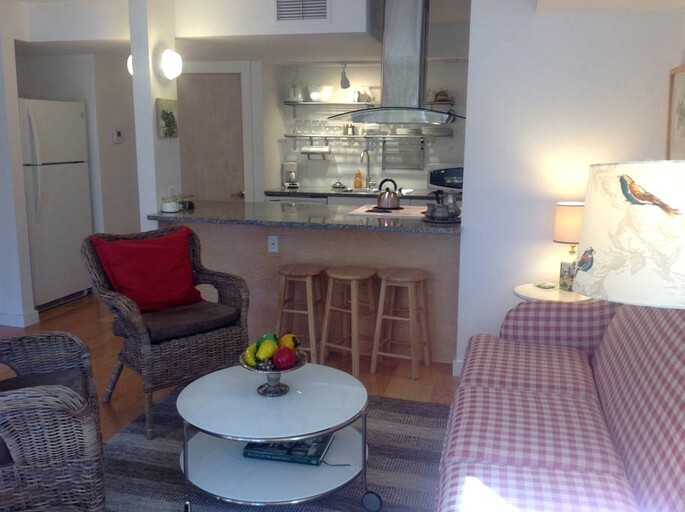 Other amenities include WiFi, central air conditioning, and a washer/dryer upstairs. Guests will also have a lovely outdoor seating on the stone terrace and a grill conveniently located just outside with access to the 28 acres of Monument Mountain, for hiking and exploring, but should be aware that there has been a black bear sighting. 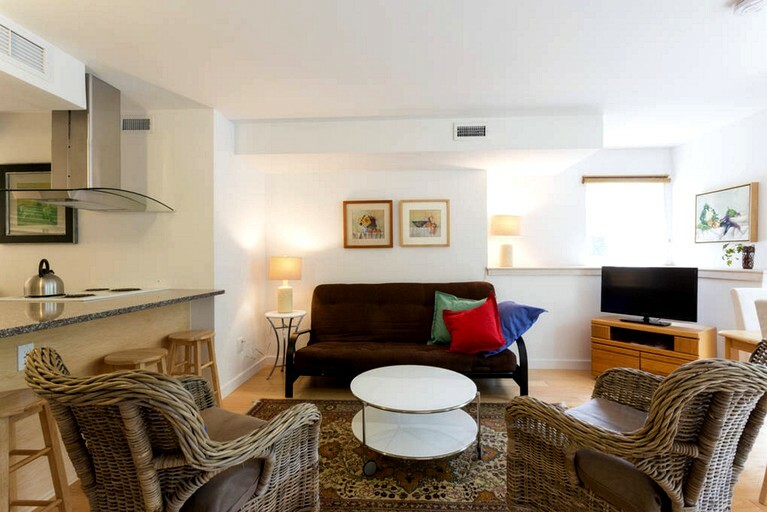 This private, comfortable ground-floor getaway comes with central air conditioning, cable TV, WiFi, and a television. Although, there are no washing or dryer machines, there is a laundry service provided each week. 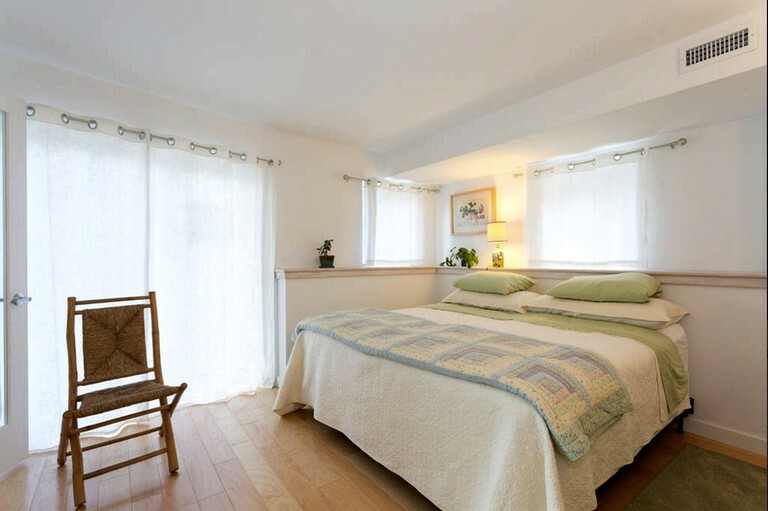 The upstairs bedroom is a queen and the downstairs bedroom can be made into two twins or one king bed. 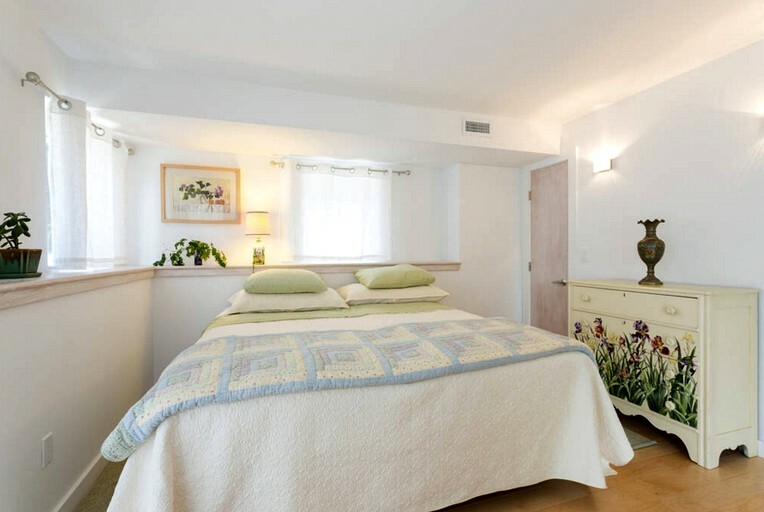 There are also two very comfortable sofa beds in each main room (upstairs and downstairs) for four more guests. All linens are provided. Outside, there is a driveway for two cars as well as a stone patio glampers can enjoy while using the grill to cook dinner. 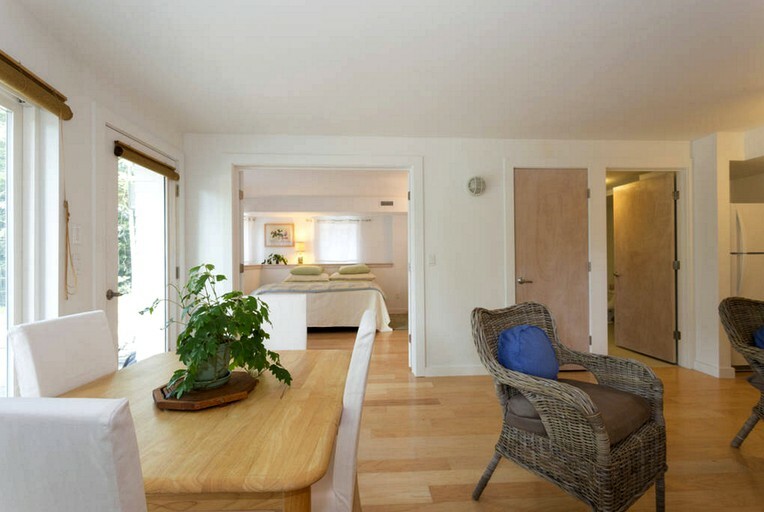 This retreat is cozy with all new construction, full-size appliances, and complete privacy. Guests can enjoy the gorgeous natural setting from the patio while still being centrally located for all Berkshire activities, restaurants, and shopping. 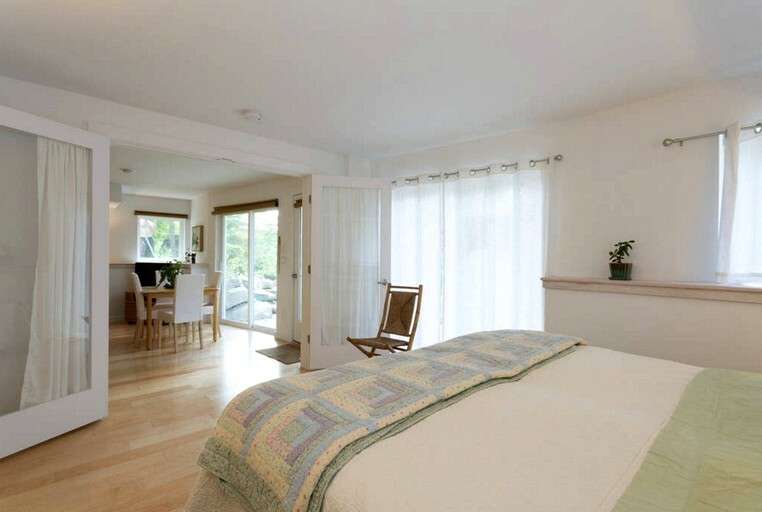 This retreat is cozy and comfortable with all new construction, full-size appliances, and complete privacy. 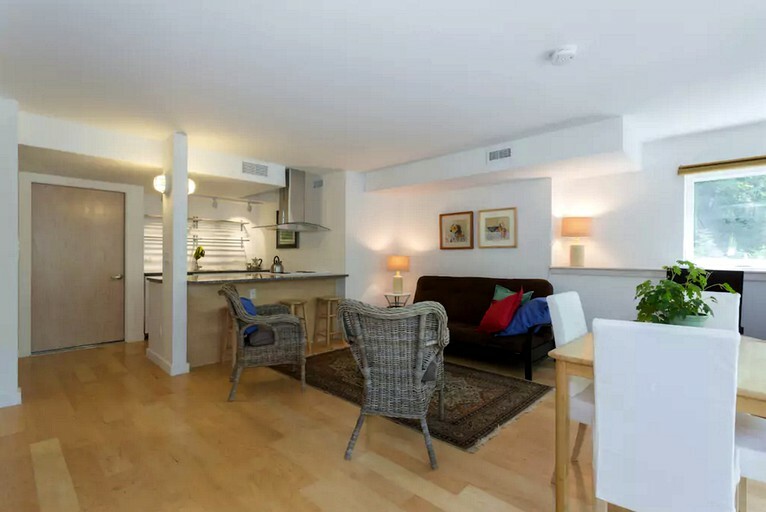 Guests can enjoy the gorgeous natural setting from the patio while still being centrally located for all Berkshire activities, restaurants, and shopping. 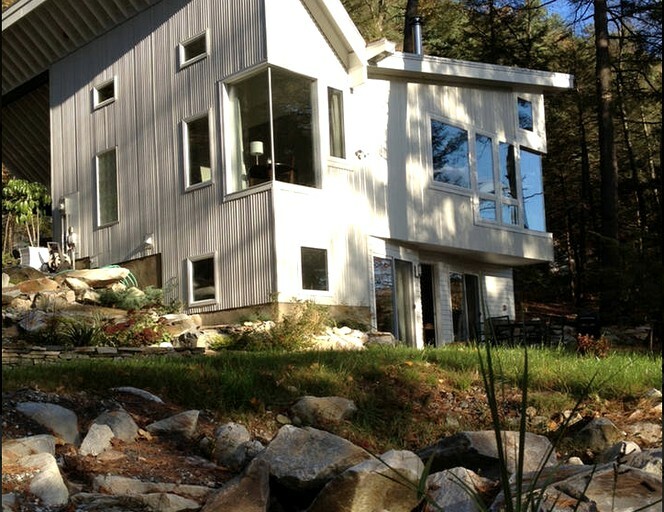 This getaway is a brand-new construction, architect-designed retreat in the Berkshires at the foot of Monument Mountain and boasts a fantastic setting amongst majestic trees and massive boulders. 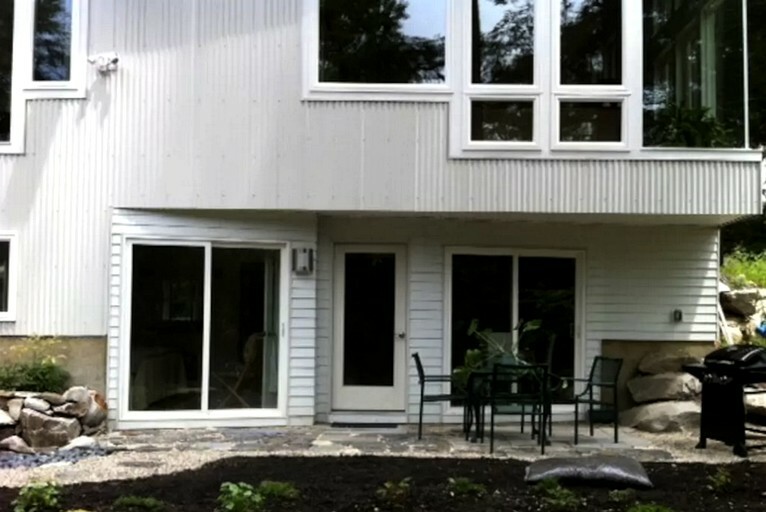 Guests will enjoy a state of the art design in Great Barrington's most unique new getaway. 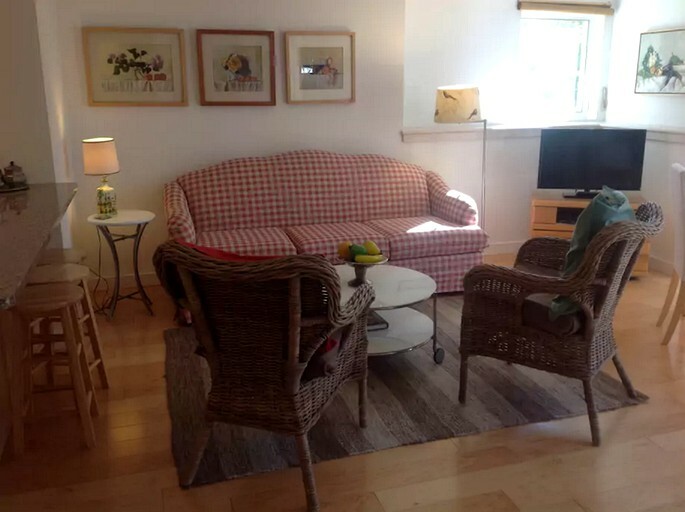 This is the totally private downstairs part of the main getaway located in a beautiful quiet area of Housatonic, a village of Great Barrington along Rising Pond. 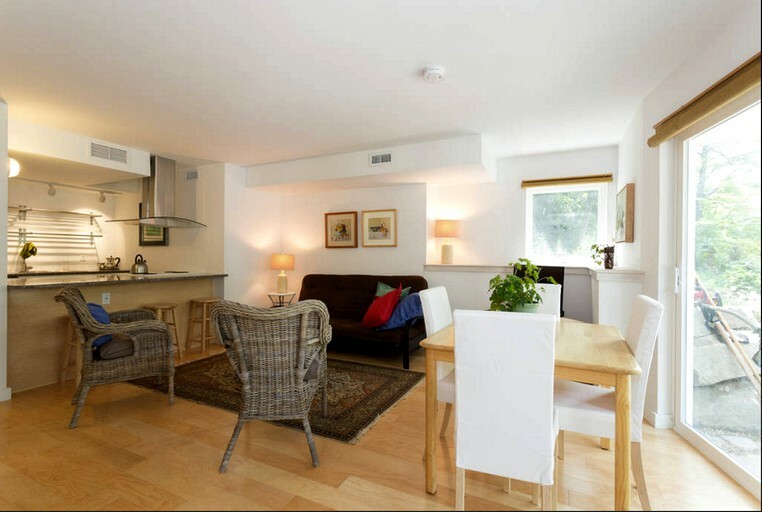 Conveniently located between Stockbridge and downtown Great Barrington along very scenic Route 183 this very private, one-bedroom space has a separate entrance, a parking area, and a complete kitchen with full-size appliances. The bedroom can be made into two twins or one king bed while there is a very comfortable sofa bed for two more guests in the main room. All linens are provided. 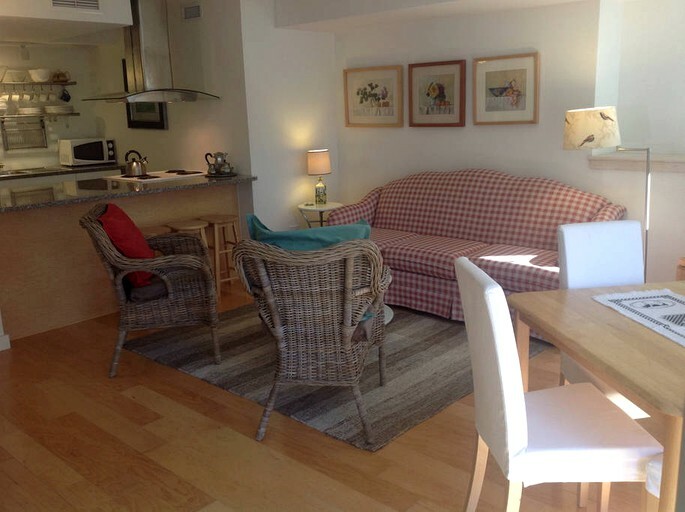 The rental is close to all the Berkshire activities: Tanglewood, museums, Jacob's Pillow, Shakespeare and Company, theaters, dance, art, lakes, hiking, and fishing. Guests can enjoy leaf peeping in October and winter activities too. Taft Farms and Berkshire Mountain Bakery are within walking distance. Guests have beautiful views of Rising Pond on the Housatonic River and outdoor seating on the stone terrace and a grill conveniently located just outside. Guests are in luck when glamping in Great Barrington's unforgettable woodlands and foliage. 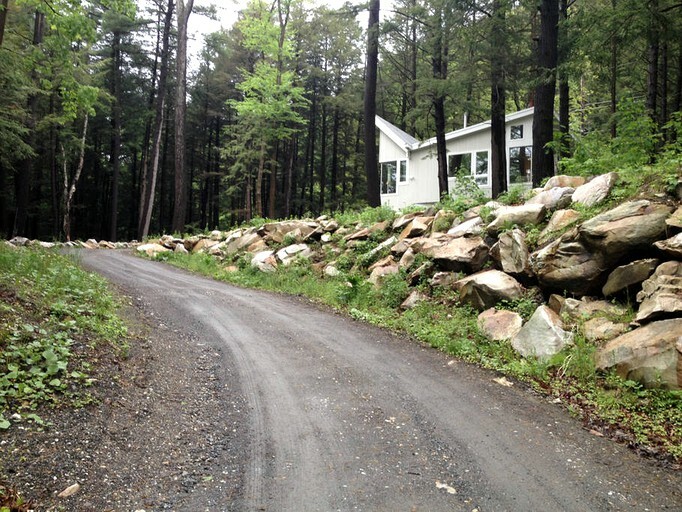 The Berkshire Mountains provide an ample amount of activities to keep guests busy all day. At Beartown State Forest, glampers have almost 200-acres of land to take advantage of the park's trails to horseback ride, mountain bike, snowmobile, and snowshoe. They can also hike to the peak of Beartown Mountain, or other summits such as East Mountain and Monument Mountain. Just a one-minute walk from the cabin, the Housatonic River provides glampers a body of water to engage in water sports such as rowing and fly fishing. In the winter, Ski Butternut is a popular resort for all ski and snowboard enthusiasts. During the warmer months, guests can check out a number of concerts and festivals happening at the resort, including Berkshires Arts Festival. Exploring the center of Great Barrington is also a must for glampers interested in the local theater, museum, and restaurant scenes. There are no pets or smoking allowed on the property.